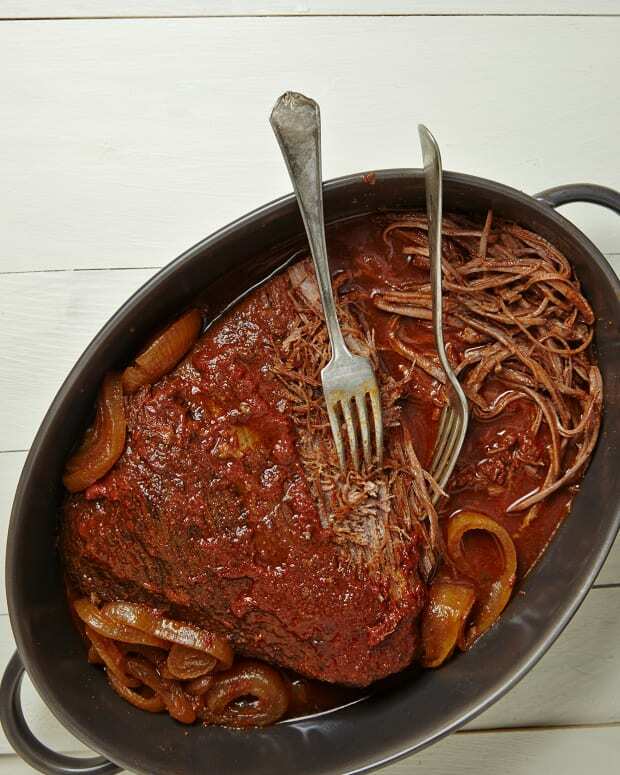 Sweet, slow cooked briskets are a traditional way to honor yom tov with basar v&apos;yayin (meat and wine). 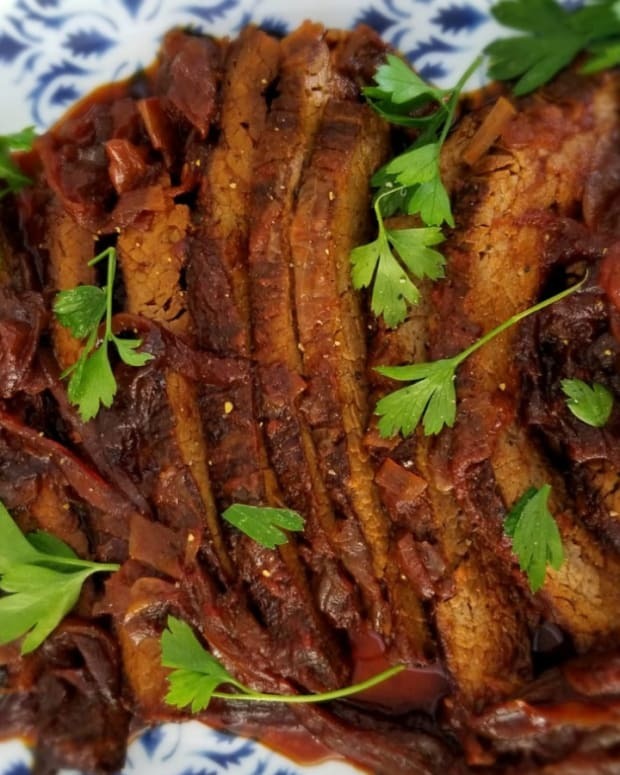 This contemporary take on brisket relies on root beer and brown sugar to elicit a tender brisket with a lovely caramelized flavor. Use a mix of Spanish, Bermuda and Vidalia onions for a more complex flavor. 1. Heat a large stock pot to medium-high heat. Add oil, when it begins to shimmer add the onions and salt. Cook until translucent. Reduce heat to medium-low and saute until onions begin to brown. 2. Rub brisket with soup mix, brown sugar, dry mustard, black pepper and garlic. Place over onions in stock pot. 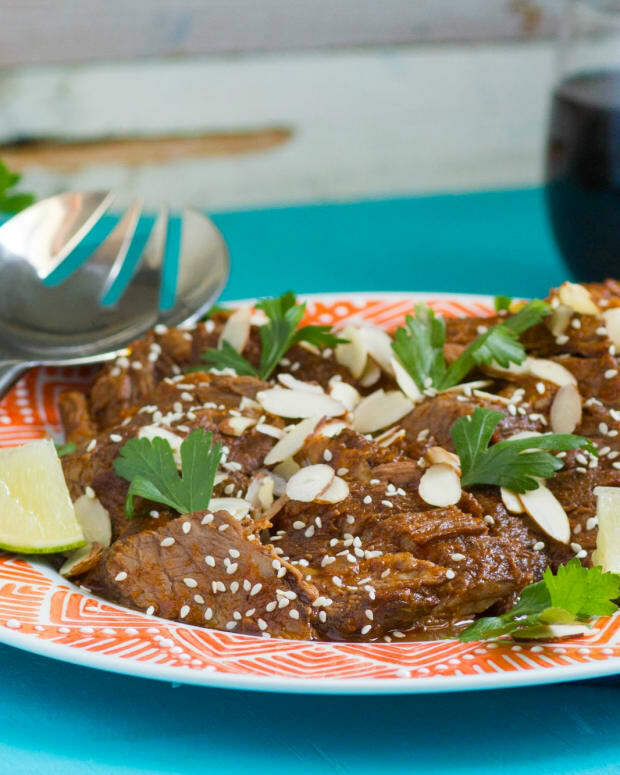 In a medium sized bowl, stir together barbecue sauce and root beer or cola. Pour over brisket. Put lid on pot. And bring to a boil, then reduce heat to low. Cook for 3-5 hours until tender. 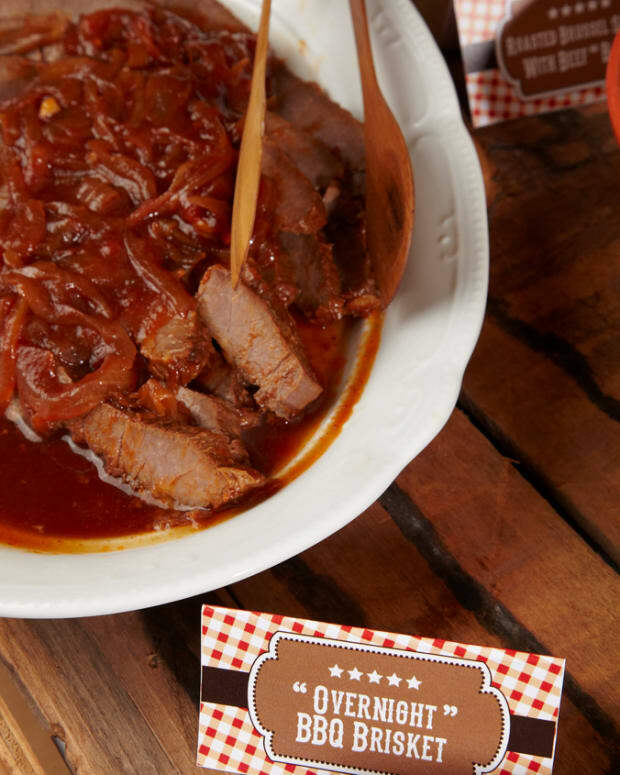 Check pot after an hour of cooking, and add water around brisket if the sauce looks too thick. Turn brisket and baste halfway through cooking time. 3. 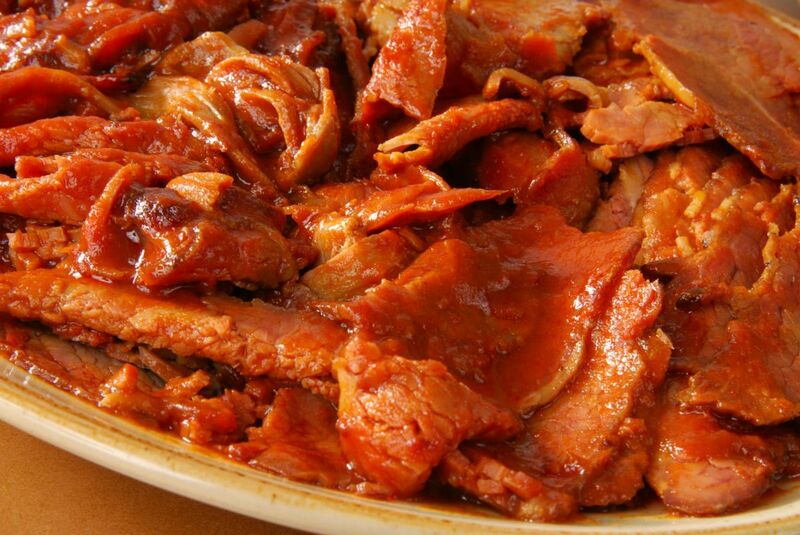 Remove brisket from the pot and allow to rest for 10 minutes before slicing. Thinly slice against the grain. Serve "smothered" with onions and pan gravy. 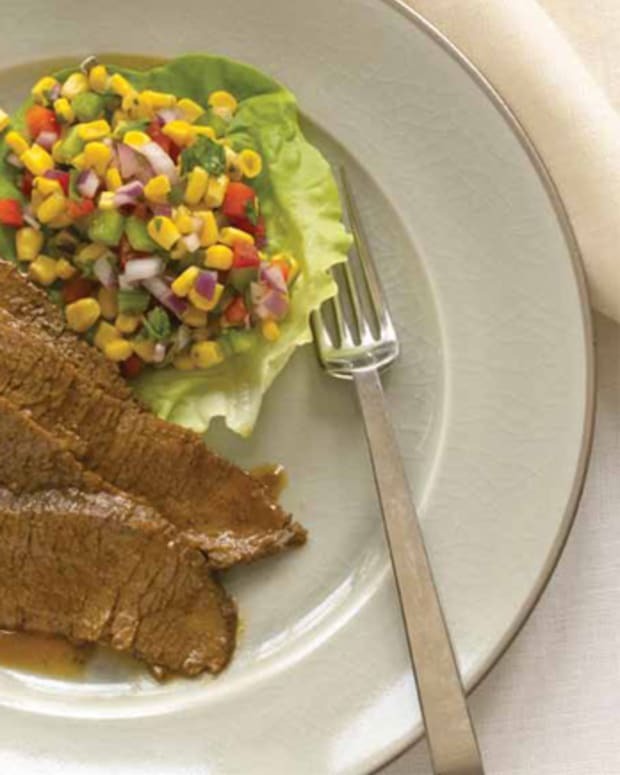 You may slice beef in advance, return to pot and reheat for 30 minutes before serving. 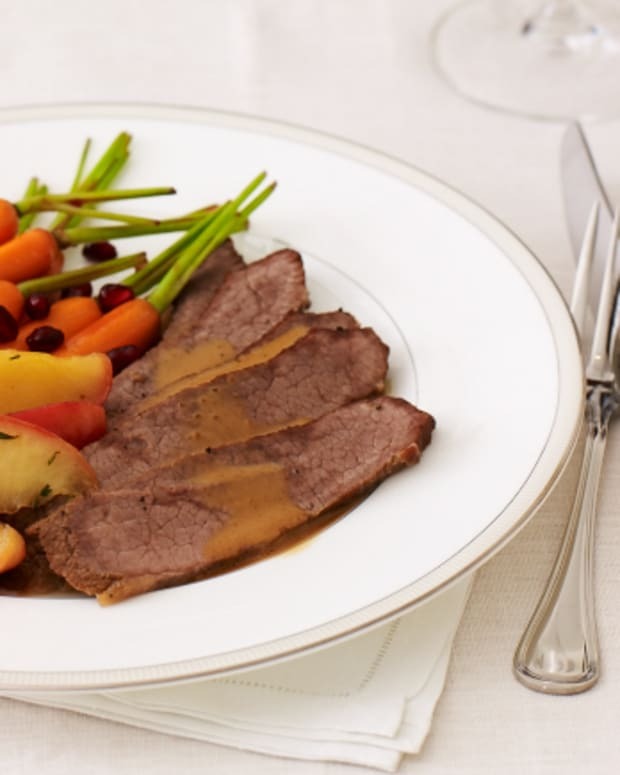 Make sure any sliced meat is covered with gravy before storing.